Home » News » Italian thrashers EVERSIN confirmed for 2018’s METAL OVER MALTA Festival! 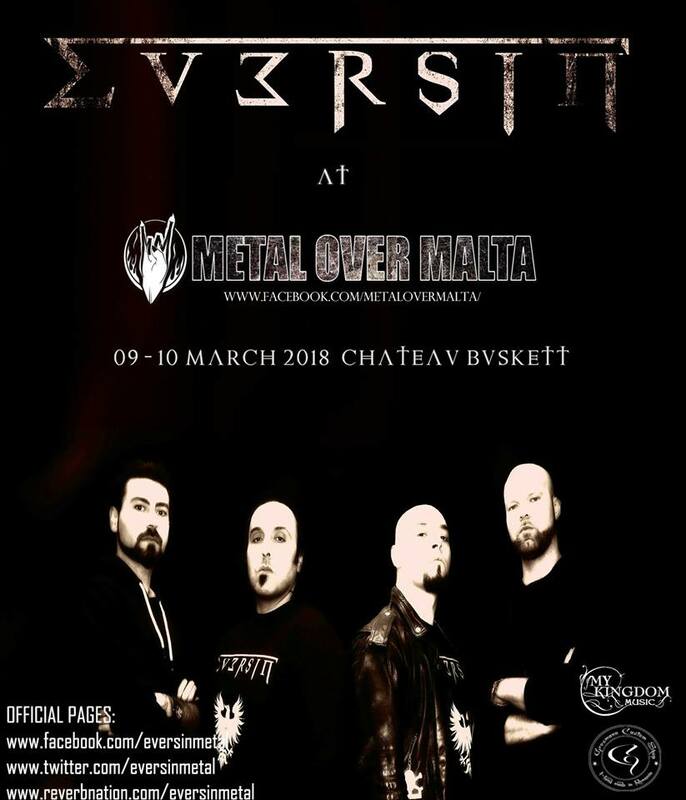 Italian thrashers EVERSIN have been confirmed for the fourth edition of METAL OVER MALTA, taking place in Chateau Buskette on the 9th and 10th of March 2018. Eversin have been confirmed for Friday 9th March and will be bringing their apocalyptic thrash attack to Malta’s metal hordes for the first time! Renowned for delivering an intense live performance, fans will be salivating to hear tracks from the aural detonation that was Eversin’s most recent album Trinity: The Annihilation. Fans may also be treated to new material from Eversin’s forthcoming, 2018 new release. “We are absolutely satisfied of what we have created for the new album. We succeeded to give to our music a new dimension losing nothing of the violence and evilness that characterised Trinity. It’s like Meshuggah and Candlemass jamming with Slayer”. How’s that for a trinity of top talent as inspiration! Worship Metal Celebrates 30 Years Of Anthrax’s Among The Living! Spanish thrashers deliver a knock-out blow!